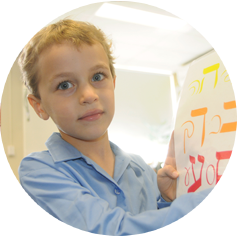 The Bridges Program is a support program for Primary School students who may be experiencing a learning difficulty in either literacy (English, Yiddish and Hebrew) or numeracy. Our teaching staff are sensitive to the needs of all students. We are aware that there are a number of students who demonstrate high levels of achievement. 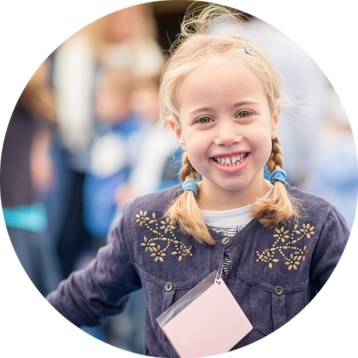 In order to meet their learning needs, this program offers a variety of Enrichment Strategies and Programs for English, Yiddish and Hebrew. At various times, a number of students may require significant assistance to support them in their learning. Whenever this situation occurs we apply to the Government for extra funds to support these students and to ensure that they continue to be integrated into mainstream schooling. An Integration Assistant may be employed to work with these students and to support the work of the class teacher. This program is under the auspices of the Director of the Learning Centre who coordinates programs, funding and regular meetings with teachers and parents. Educational Support Groups In order to support particular students in their learning, various parents will be invited to be part of an Educational Support Group (ESG). The members of this group include the Principal, the class teacher, the Learning Support Coordinator, the parents, the student where appropriate, and any other person that the Group believes could help the student. The Groups meet as necessary. The Gap Program is a special intervention program for targeted students in Year 1. It is our aim to give intensive support to those students who need extra assistance to develop the skills of reading. A number of students require assistance in learning English as a second language. Specialist teachers work to develop our ESL programs to meet the learning needs of these students. We apply annually for extra funding from the Government to support these students.